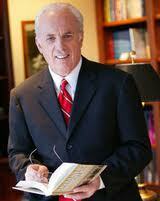 John MacArthur answers many questions about the local church from the audience at a recent conference Q&A session. In Jude we are very, very seriously warned about following false leaders, false teachers. How do you judge the true? You judge them by their fidelity to the Word of God, both in what they say and how they live. There are two ways to be a heretic. You can be a doctrinal heretic and you can be a moral heretic. So you’re to follow those who are true to the faith. You don’t go to church, you are the church. You take the church to the place. Don’t be in a big hurry to leave unless you know that the Word of God is being compromised either in the teaching, or in the living of the leadership… But what the questions that need to be asked are, is he faithful to the core of the gospel? Which is a Triune God, deity of Christ, deity of the Holy Spirit, deity of God the Father, the virgin birth, the sinless life of Christ, substitutionary atonement, literal resurrection, salvation by grace alone through faith alone in Christ alone. That’s what I call the drivetrain. If those things are right, you might have to tolerate some of the other things that aren’t nearly as absolutely critical as those are. (In the spiritual development movement) the assumption is that spiritual truth is somewhere inside of you and that is not true. Spiritual truth is outside of you, it is external to you. It is in a book, outside of you. It is not in you. You can contemplate yourself all you want, you can go sit on a rock in the middle of nowhere and think and you will find in you no source of divine revelation whatsoever because divine revelation is external to you, it’s external to every human being, it’s in a book that God wrote. And when you put the book down and start looking into your own brain, all you’re going to do is be led down a black hole. When you talk about the shepherd of your soul, this is somebody that has to be a part of your life, that you trust and you know and you’re in a community of people that have learned to love him and trust him and know his family….Pastors of multi-site churches are not pouring themselves into the lives of people, shepherding people. They’re talking about how much broader they can get rather than how much deeper they can get. How many more people can they touch superficially, not how many people can they touch personally and deeply. That’s not pastoring…that is not pastoring….People need to be shepherded by the man that God puts into their life as their shepherd wherever they are and it doesn’t need to me living here, doing it somewhere else in America. We pay absolutely no attention to the pop culture, we couldn’t care less. We don’t care what they’re doing. It’s irrelevant. We have a fixed point of reference, the Word of God. And I don’t want to link arms with the culture. I want to link arms with the history of the church. I want to quote the great theologians. I want to sing the great hymns that generations of believers have sung and the reason we’re still singing them is because they were so good. I want to link arms with the past. I want people to know that we’re some…we’re a part of something that is multi…multi-national, multi-generational and multi-millennial. It goes back several thousand years. I don’t want people to think we just invented this. I can tell you everything I need to know about a guy who says he’s a pastor by how much he gives honor to the work of Christ through faithful men through the history of the church and how much he wants to be among them and not an invention of his own. It’s just a problem. This entry was posted in Discipleship, Theology, Video and tagged John MacArthur, mega-church, multi-site churches, when to leave a church. Bookmark the permalink.